It is now December! Already! This year has gone so quickly, which I'm glad about and now I'm just excited about what 2014 will bring me. But first, a few things that will get me through the final month of the year. Of course, it wouldn't be December without an advent calender (Am I too old for these now?). 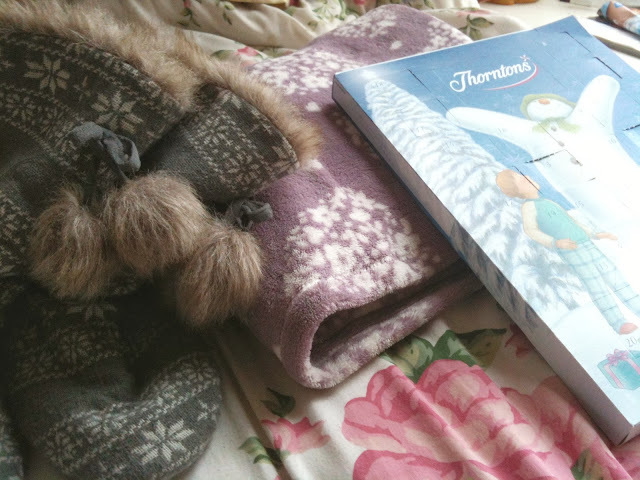 This is a Thorntons one with The Snowman and The Snowdog on the front and is so adorable. The chocolate is delicious and there is a huge chocolate for Christmas Day which I am very much looking forward to! I also have my Next slippers ready for the colder months. They have a nice Chritsmassy pattern which makes me feel all festive. 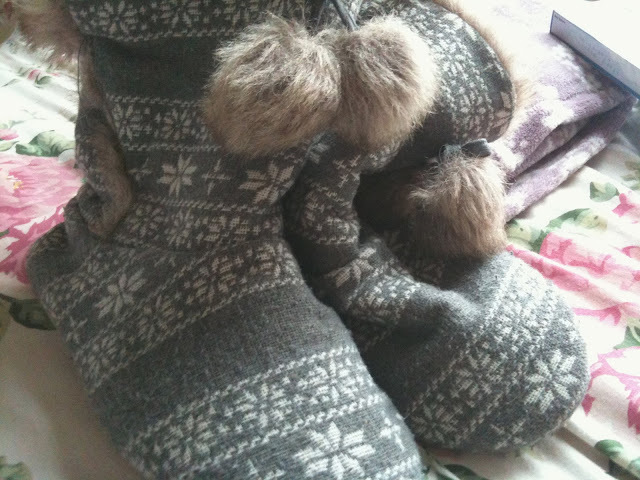 They are lined with fur, allowing my feet to be nice and snug and are so comfy. I have a habit when it's cold of walking round with a blanket or quilt around the house to try and keep warm. This blanket is from Primark, I bought it in the summer for £5 and I absolutely adore the pattern. 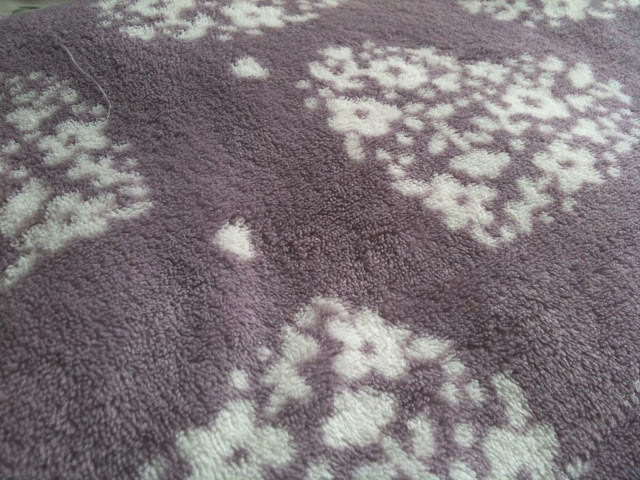 It's a lilac colour with little hearts made up of flowers all over it. It's lovely and soft and is surprisingly really good quality for Primark, I've had it half a year now and it shows no sign of wear and is still really fluffy. Well done Primark. Like I said, I normally walk around with this wrapped around me and then throw it over my bed for extra warmth at night, I think it's a lovely extra touch in my room. What are your December essentials? Do you own an advent calender this year?